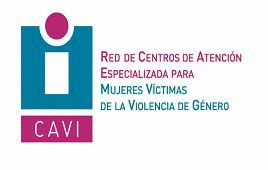 The Local Government Board has recently approved the proposal of the Councilor for Human Resources, Gertrudis Ruiz, with the basis of the call for the creation of a job board legal counsel for the provision of services and programs on Equal Opportunities and Attention to Women Victims of Gender Violence (CAVI). This proposal is established given the need to provide the Department of Women and Equal Opportunities of a legal counsel, a psychologist and a social worker as interim officials for the implementation of the collaboration agreement between the Autonomous Community and the City Council for the provision of said services in the CAVI. In June 2008, the Local Government Board approved the selection process and subsequent appointment as interim officials of these jobs, part-time, as a result of the subsidy received by the Autonomous Community. In 2018, the working day was extended to full by virtue of the subsidies of the Family and Equal Opportunities Council for this purpose through the direct award procedure. On November 21, 2018, the legal advisor of the CAVI resigned after the appointment and to continue with the provision of this service, it is necessary to create a job board to fill this position.